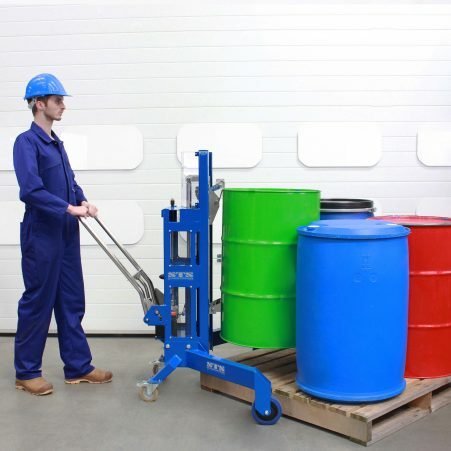 Loading drums on and off pallets is often challenging, so we’ve designed a range of drum lifting equipment to make the process easier and safer. 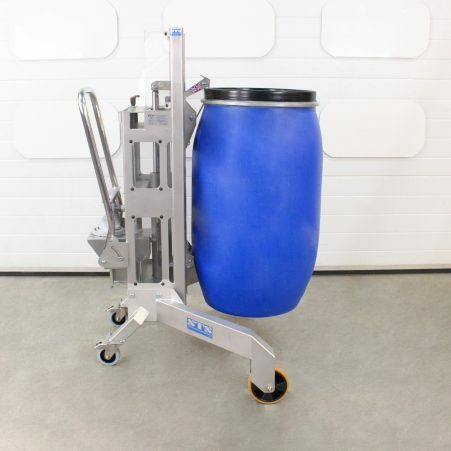 Each drum lifter can handle drums from 50 litres, right up to 220 litres. 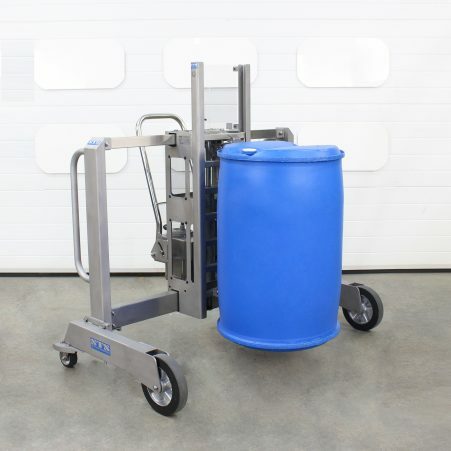 There are three main types of drum lifting trolleys that can help you to load and unload drum pallets. 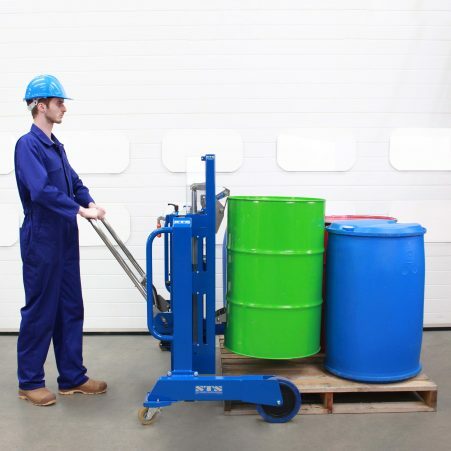 A pallet can be straddled, approached from the corner, or loaded using a counterbalanced machine; each drum lifter has its benefits depending on your needs. We design, construct and rigorously test all of our Drum Lifters in our UK based manufacturing facility to ensure they are to the highest quality needed for industry. If you need some advice on which drum lifter is the best for your application, just get in touch. With no legs in front of the lifter, this drum lifter is great for loading equipment, conveyors and containment/spill bunds. The most versatile drum positioner available: our innovative over-pallet sliding design lets you access all drums from one side. This drum lifter allows you to lift and place drums on the corner of a pallet, provided you have access to the corner. This drum lifter has a counterbalanced design and is suited to loading conveyors, bunds, mixers and drum dispensers. Unique drum handler makes drum unloading operations much easier. The sliding mechanism is great for fast drum placement. This stainless steel drum lifter is suitable for lifting drums and barrels from the floor or the corner of a pallet.